Prom night is often the first chance that girls get to live out their childhood dream of turning into a princess. From hair to shoes, there are so many details that need to be considered for the big night. Start with your Prom Dress at Giggi’s Bridal and Mr. G’s Tuxedos. From the hottest prom shoes and accessories to the prettiest prom dresses in every color, style, and budget, find everything you need to make a mega fashion statement on prom night. There’s a very good chance that THE dress is here at Giggi’s Bridal Boutique! If you have not found your Prom Dress you must check out Giggi’s Bridal and Mr. G’s Tuxedos!! The challenges for my plus size women searching for their dream dress and also searching for an experienced boutique that understands their unique challenges they may have. 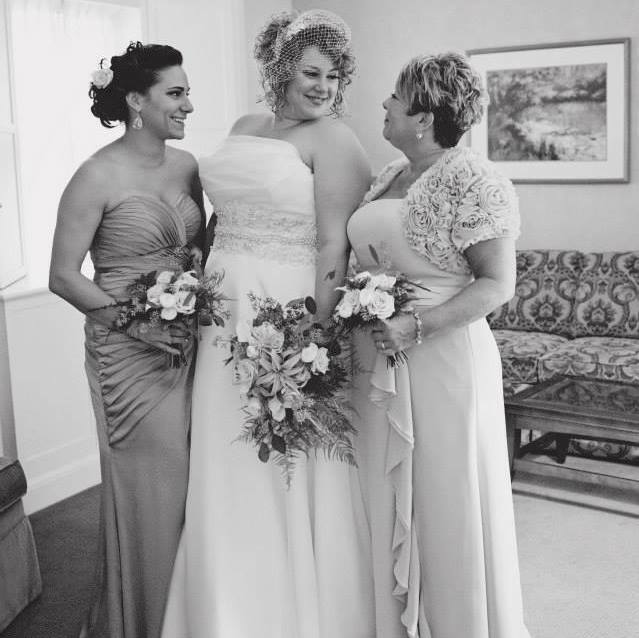 I love working with my plus size customers that may have fear and anxiety when they first arrive, but leave my bridal boutique with joy and relief that I was able to dress them so they look and feel elegant. I love when I have fulfilled my customer’s expectations and receive a warm loving hug from them. I am so thankful for being a part of your special day. Did you know? Sarno and Son is the exclusive provider in the Northeast for Michael Kors, Ike Behar, and the complete Allure Men collection?